Milestone is striving to improve the laboratory work environment by developing safer and greener reagents, for offering the best histological results joined to a granted compatiblity to our units. 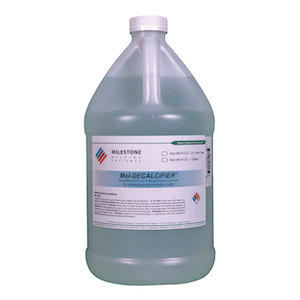 Important steps in the histological specimens preparation, such as fixation, decalcification and processing, can be dramatically shortened in time by improving the instrumentation power-saving features through our line of products. 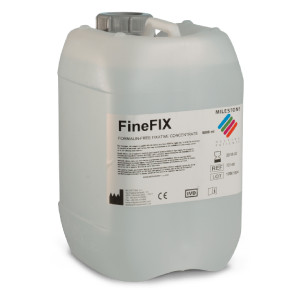 Our MileONE & MileTWO, FineFIX, JFC Solution and MoL-DECALCIFIER are designed and developed for maximizing Milestone units’ performance. 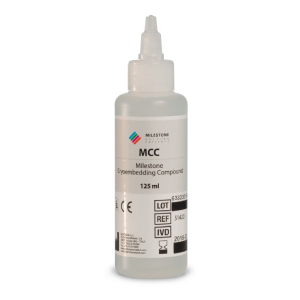 Dedicated to Frozen Sections, MCC gives an unrivalled blocks consistency for a smoother frozen blocks cutting and a preserved histological architecture. Great attention is also given to the development of reagents, with the goal to eliminate operators exposure to toxic reagents such as xylene and formaldehyde, for a safer laboratory environment. 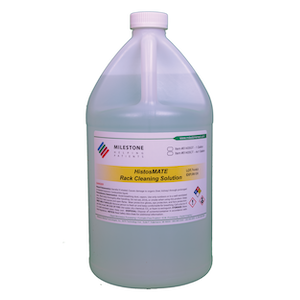 All Milestone reagents are Xylene-Free, including the cleaning solution Rack Cleaning Solution. 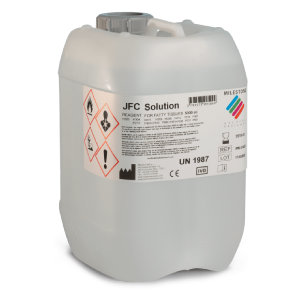 With FormSAFE formaldehyde does not go in cotact with the operator thanks for our patented protective floating shield. Which reagent is right for your lab?